"Better than a refund check from the IRS!" Meanwhile, Tara's up to her fracking neck with another case: A natural-gas company with a money trail that is almost as suspicious as Brazos Rivers's tax return. Which is to say, he can't seem to cough up one. Tara figures the misdeeds of her celebrity crush must be an oversight. But will she dance to a different tune...when her tax-evading idol starts evading her, too? 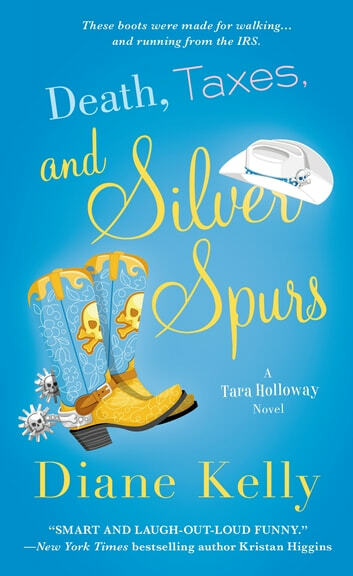 "TARA HOLLOWAY IS THE IRS'S ANSWER TO STEPHANIE PLUM-SMART, SASSY, AND SO MUCH FUN." I was so looking forward to this book and it was well worth waiting for. Tara is always so much believabe mayhem. You could just these things happening to an over the top type person. I love the mystery that doesn't usually involve a dead body and I love the relationships. Already looking for the next one. 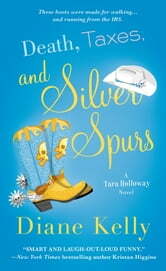 Love Diane Kelly's style of writing. She keeps you intrigued while entertained! Very similar humour and character development like the Stephanie Plum characters in Janet Evanovich's novels.